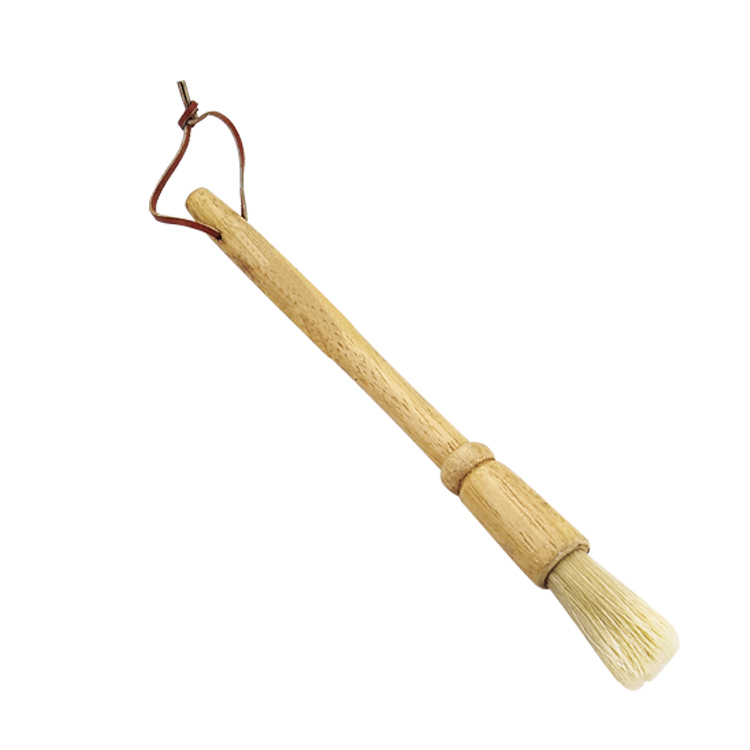 The handle is made of lacquered hardwood for durability, with a nylon ferrule for resistance to abrasion and cracking. The bristles are epoxy-set in the ferrule for durability and to prevent collection of bacteria in air pockets. The bristles on this brush are made of double-boiled, bleached, and sterilized boar hair bristles, which can withstand high temperatures. The leather strap help you hang it more easy! Looking for ideal Soft Bbq Grill Brush Manufacturer & supplier ? We have a wide selection at great prices to help you get creative. All the Pastry Brush with Boar Bristles are quality guaranteed. We are China Origin Factory of Boar Bristles Grill Brush. If you have any question, please feel free to contact us.